Rick Weber is a practicing attorney and is frequently invited to speak as an expert in the field of Electronic Discovery at conferences and CLE seminars sponsored by corporations, law firms, the American Bar Association, and state bar associations. Rick is serving as the President of eDirect Impact, an information management consulting firm. Prior to joining eDirect Impact, Rick served as Vice President of DocuLex, Inc., a leading provider of litigation management and Electronic Discovery solutions for corporate legal departments, law firms, and small to medium sized companies. Rick joined DocuLex in February 2003 through the acquisition by DocuLex of Advocate Solutions, Inc., a company in which he was the co-founder and acting President. Advocate Solutions was a software development and litigation support technology consulting company whose creations and products included Discovery Cracker and CT Summation’s E-Loader. Rick managed all phases of the business as well as its strategic developments. Rick was also responsible for the developments and negotiations leading to its acquisition. 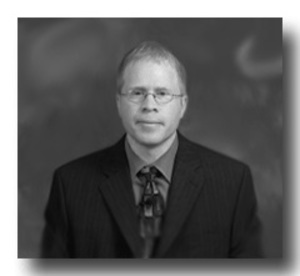 Prior to founding Advocate Solutions, Rick was a Senior Attorney for the Enforcement Division of the U.S. Securities and Exchange Commission. At the SEC, Rick investigated and prosecuted violations of the federal securities laws including: violations of the offering provisions of §17, Reg. D, and Reg. S under the ’33 Act; financial fraud, insider trading, and tender offer violations under the ’34 Act; and fraud under the ’40 Act. Rick led several high profile investigations and prosecutions and was selected to provide formal training in testimony techniques to new SEC attorneys. Prior to serving as a prosecutor for the SEC, Rick worked for the law firm of Mayer Brown Rowe & Maw in Chicago, Illinois, as an attorney. Rick’s experience included general civil, criminal, and commercial litigation practice in state and federal courts. In addition, while at Mayer Brown, Rick served as the Assistant General Counsel to the Speaker of the Illinois House of Representatives, Lee A. Daniels, during the 1996 Spring Term. Rick holds a B.A. from Michigan State University with honors, and a J.D. from the Vanderbilt University School of Law, having served as an Associate Editor of the Law Review.